Vendor Sale!!! Oil pump gear / crank sprocket combo (11-17 mustang) $399!!! Thread: Oil pump gear / crank sprocket combo (11-17 mustang) $399!!! 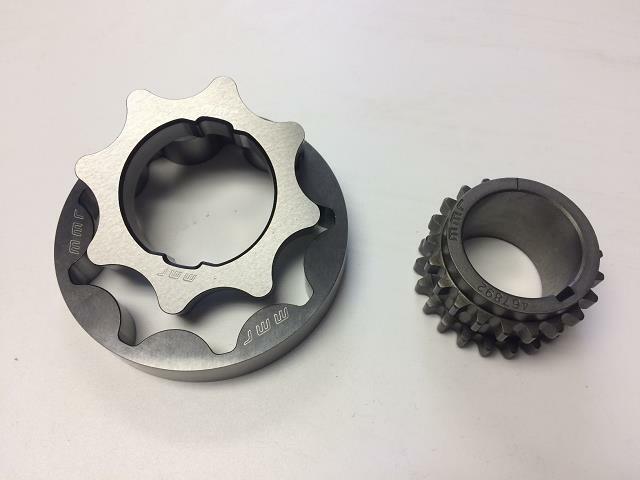 Billet 5.0 Coyote Oil pump gear / crank sprocket combo (11-17 mustang) $399!!! Simply the finest Billet Gears available for your engine! Both Items are so strong that they feature a LIFETIME WARRANTY to the original owner! As used by Multiple NMCA/NMRA Champions and Record holders and by Team MMR and the Worlds Fastest and most powerful coyote engine ever! These are the ONLY parts tested beyond 10,000 rpm and 3000+ HP!! Perfect for that daily driver or the most extreme engine builds. MMR Oil Pump / Oil Pump Gear failures?